The Big Game is one of THE social events of the year. 90% of the time, we don’t really care who’s playing. We’re at the parties to see and be seen, and hang out with friends. And eat some great food, of course! 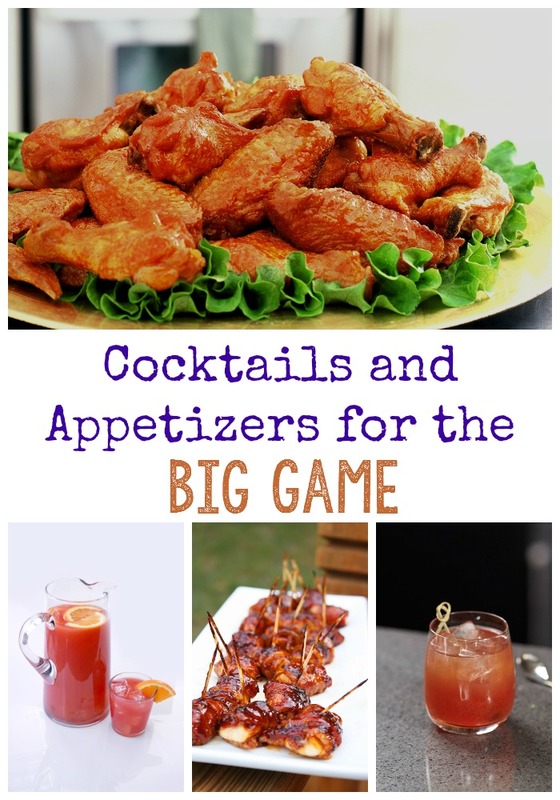 There’s still time to add one of these fabulous Big Game themed cocktails and appetizers to your party and totally impress your friends. Check out our Tequila Treats for the Big Game and Low Calorie Cocktails for the Big Game, too! The big game is in San Francisco this year. 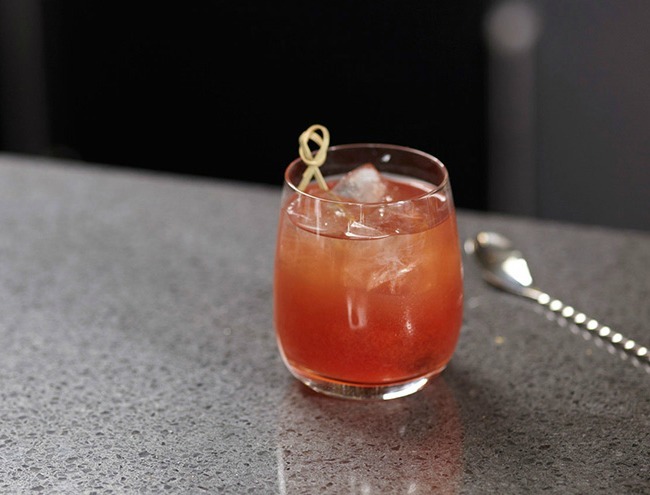 It’s only appropriate that there’s a cocktail created after the location. 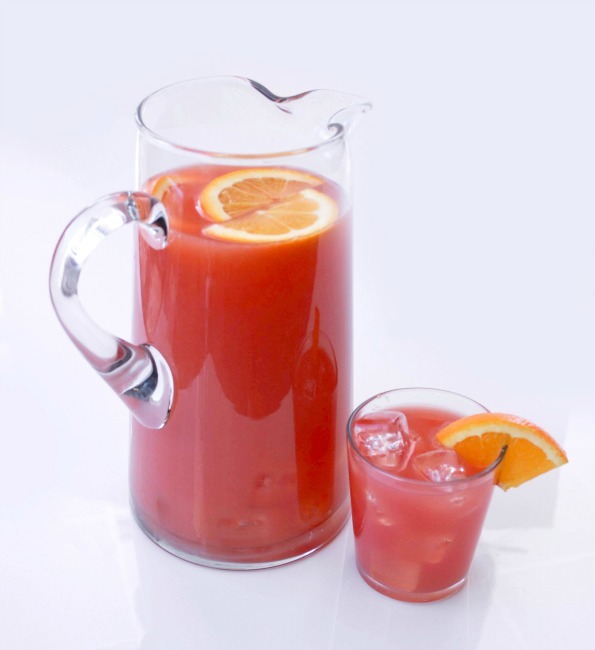 Punches are a great way to serve a lot of people at a party, without someone having to play bartender. Just make sure that your guests are aware that this has alcohol. We don’t want any issues. 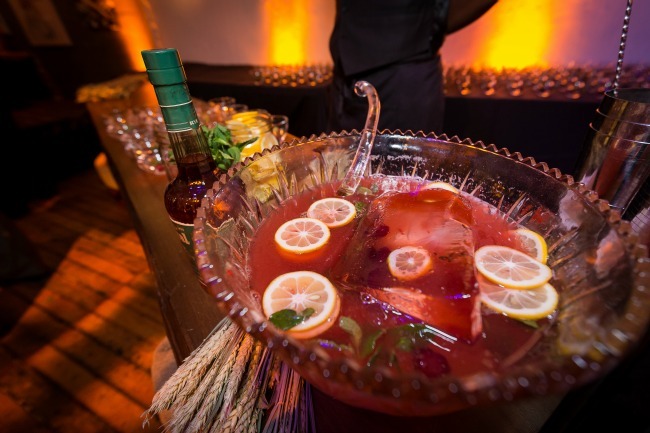 Mix ingredients in punch bowl, add muddled fruits, chill and serve with ice. Serves 25.
Who doesn’t love BBQ chicken and bacon? 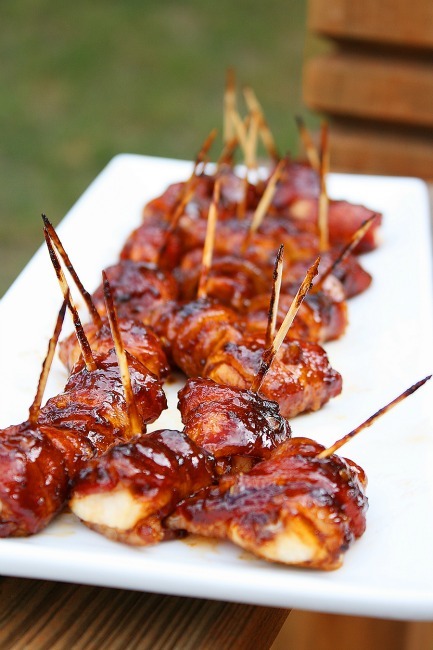 Come on, this is a classic appetizer type food, with the fabulous twist of a rum based homemade BBQ sauce. Yum yum! 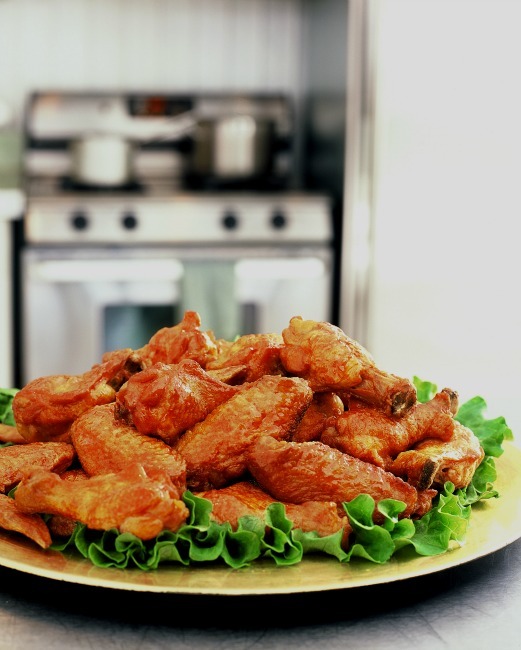 Wings may be the quintessential football watching food. I don’t think I’ve ever been to a Big Game party or football gathering that didn’t have chicken wings. These are a great take on an Asian-Thai flavor. Are you excited about the Big Game? Who are you rooting for?